Iftar dinner at different hotels in Dubai. Iftar in Dubai is not only is a religious affair for Muslims it is also an exciting Muslim feast that happens every day in the evening. The restaurants and hotels have special packages for for opening the fast. here are some hotels and their Iftar package details. Travel & Culture's usual Desert safari and Dhow cruise dinner also run along with these packages on daily basis in Ramadan. A very special Iftar Dinner on High Speed Catamaran at Kasab Oman. During this season of sharing in Ramadan, invite your friends, colleagues and families at The Connections, the Coffee shop on the 1st floor at Sheraton Deira Hotel to enjoy and partake from a sumptuous Iftar for just Dhs. 109 net per person. What’s more - you could be winners for the weekly draws for meal and stay vouchers. Our Arabic Chef, will prepare some of his mouth-watering Arabic specialties such as Lamb Brain, Lamb Tongue, Basturma, Freekie Lamb, Kebsa chicken, Sea Food Kebsa, Magloba lamb, Tikka hammour, Mograbia Chicken, which change on a daily basis. The dessert counter has Kunafa, Katayef, Baklawa and many more sweet items. An Iftar with value which is better when shared at Sheraton Deira Hotel. Corporate Iftar’s at Sheraton is also available from prices ranging from Dhs.90net – 110net per person. Voucher booklets of 10 persons are available wherein in you will get 1 additional person for free to dine. For more details, please contact on 2688888 Ext. 5306. To reserve a place for more than 15 people please contact us for special rates. This splendid venue offers a lavish iftar spread of traditional delicacies with a Moroccan accent. Indulge in roasted lamb ouzi, made-to-order shawarmas and saj manakish, and a tempting cheese display. A great place to tuck into hearty food and soak up the atmosphere. Dhs140 per person. This swanky revolving restaurant (classic eighties!) serves up a sumptuous iftar buffet with traditional Emirati dishes and Ramadan favourites, along with stunning 360 degree views of the city. Dhs150 per person; half price for six-12 year olds; under sixes eat for free. Tel: 04 399 5000 Features a large array of traditional Arabic dishes and tasty Ramadan juices in a lively Arabian atmosphere. There’s a special a la carte menu and a variety of shisha flavours to enjoy at the Ramadan tent (Dhs100 minimum spend). Dhs160. Tel: 04 809 6100 Bab al Shams if offering a unique Arabian nights desert experience – Arabic delicacies will be prepared at live cooking stations, while a special cultural experience will be on offer at the ‘heritage village’ set up at Al Hadheerah. Bab Al Shams is also offering special room rates throughout Ramadan (Dhs750 per night; includes complimentary in-room suhoor or iftar at Al Hadheerah). Dhs195. Sunset-all night (suhoor follows after). Tel: 04 331 1111 Relish a wide selection of cuisine with strong Arabic and Oriental influences. There are favorites such as ouzi, falafel and shawarma at the live cooking stations, as well as shisha and live Arabic music to enjoy. Dhs99; Dhs45 for six-12 year olds; under sixes eat for free. Tel: 04 295 6000 Indulge in a wide array of Middle Eastern and international delights, as well as a tasty selection of gourmet sweet treats to satisfy your sugar cravings. Enjoy QD’s signature shisha and fine views of the Dubai skyline. Groups of 25 people and over get special rates and private venues at the al fresco club. Dhs120 per person; Dhs60 for six-12-year- olds; under sixes eat for free. Tel: 04 701 1111 There’s a simple reason why this restaurant is a hot pick for Arabic cusine: it rarely disappoints. Choose your favorites from a set menu with a variety of options for hot and cold mezze, salads, soups, mains and Arabic sweets. It’s deliciously gourmet without being pretentious. Dhs140 per person. Tel: 04 319 8088 This crowd-favorite has been serving up delicious Lebanese cuisine for a long time now, and continues to do what it’s best at this Holy Month. Enjoy Lebanese delicacies, eclectic favourites and traditional beverages in a lively atmosphere till 8.30pm. Round off the evening with flavoured shisha in the outdoor marquee. Dhs180 per person. Tel: 04 366 6730 The chefs at this gorgeous heritage-styled restaurant are cooking up a storm this Ramadan offering a variety of culinary options ranging from traditional favourites to flavours from the rest of the world. Iftar is served until 8.30 pm, and you can dine in the plush indoors or take in views of the harbour from the outdoor dining area. Dhs185 per person; Children Dhs93; under fours eat for free. Tel: 04 222 7171 The Radisson’s traditional dhow cruises the creek and offers mountains of traditional iftar drinks and delicacies. The iftar cruise is available for group or private bookings only. Prices start at Dhs110. Sunset-8pm. Tel: 04 366 8888 Experience an authentic Arabian iftar in a gorgeous tent all decked out in traditional finery. Enjoy a sumptuous buffet spread including dates, fruit platters and a host of Arabic delicacies. Stay on till late to enjoy traditional entertainment and sample a special suhoor menu. Special rates and private marquees are available for group bookings of 15 people and over. Dhs195 per person; half price for four-12 year olds; under fours eat for free; a la carte prices apply for suhoor. Tel: 04 351 9111 Enjoy a special set-menu featuring a host of delicious Arabic specialties. Expect a selection of assorted mezze, grills, festive mains and traditional sweets served in a plush Arabian-inspired tent. You can round off the evening with flavoured shisha in the shisha lounge. Dhs120 per person. Tel: 04 399 5555 Enjoy a special set menu with a host of traditional culinary delights in this Arabic-inspired tent set on the gardens. There are board games to play and plenty of shisha flavors to enjoy—aficionados will love having over 30 variants to choose from! Dhs250 per person. Tel: 04 318 2111 Break your fast with a lavish iftar spread featuring a variety of traditional favourites and Arabic juices in the exquisitely decorated Almas ballroom. Early bookers are rewarded; there are special rates of Dhs125 for individuals and Dhs110 for groups between 15-50 if you book before July 31st. Dhs145 per person. Tel: 04 409 8877 This stylish venue tucked away in the Mall of the Emirates will be providing various Moroccan and Arabic delicacies for the breaking of the fast. Dhs165. Sunset-8.30pm. Tel: 04 368 6505 Starting at sunset every day, a lavish iftar buffet will be spread out for you and your family. Catering to everyone’s tastes, the buffet will comprise of appetisers, hot and cold refreshments, grilled meats and Arabic and Persian specialities. Dhs165. Sunset-8pm. Tel: 04 448 4848 Traditional refreshments, A spread of hot and cold mezze, live stations featuring authentic arabian dishes and desserts. Dhs145 per person inclusive of soft beverages. Sunset to 11.30pm. Tel: 04 366 6730 This regal venue serves up a sumptuous iftar buffet featuring restaurant specialties and culinary delights created especially for the season. Enjoy your iftar indoors admiring its impressive interiors (and dessert table! ), or head to the outdoor area and gaze out to the sea. Dhs185 per person; half price for four-12 year olds; under fours eat for free. Tel: 04 888 3444 During the Holy Month of Ramadan, Armani/Mediterraneo will welcome the guests an extensive buffet of traditional Mediterranean and Arabic dishes along with a selection of Ramadan juices. Dhs235. Sunset-9.30pm. 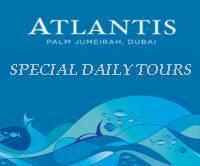 Tel: 04 426 1000 Atlantis certainly doesn’t cut corners — enjoy a festive iftar buffet featuring a tahina fountain (we can’t make this up even if we tried) and a live icecream station in a stunning Arabian-themed tent, complete with Playstation consoles, traditional games and plenty of live music. Dhs160 per person; Dhs80 for three-12-year-olds, under threes eat for free. Tel: 04 409 5999 This trendy deli offers a special suhoor set-menu featuring an array of salads, mezze, grills, Arabic sweets and chocolate treats. If you’re hankering for a mellow evening, this venue’s easy spirit will perk you up. Dhs110 per person. Tel: 04 426 0000 Asateer will offer a traditional iftar buffet to ‘awaken the senses’. Suhoor will be offered nightly from 9pm with an extensive a la carte menu offering favourites, as well as fresh Ramadan juices. The restaurant Levantine will also offer iftar and suhoor for the same price. Dhs165 (for iftar and suhoor), Dhs80 for kids aged three-12. Free for kids under three. Sunset-8pm (iftar); 8pm-late (suhoor). Tel: 04 314 9888 Azur overlooks the Raffles Botanical Garden. Guests have the option of dining outside on the patio adjoining Crossroads Lounge, where the shisha sommelier will be on hand to recommend innovative combinations of fruity flavours and unique tastes. Dhs175, half price for kids aged six-12, free for under sixes. Sunset-9.30pm. Tel: 04 809 6194 Bab al Shams is offering a unique Arabian nights desert experience – Arabic delicacies will be prepared at live cooking stations, while a special cultural experience will be on offer at the ‘heritage village’ set up at Al Hadheerah. Bab Al Shams is also offering special room rates throughout Ramadan (Dhs750 per night; includes complimentary in-room suhoor or iftar at Al Hadheerah). Dhs195. Sunset onwards. Tel: 04 399 6699 Indulge in a sumptuos Iftar buffet at Baharat restaurant during the month of ramadan from sunset to 9pm. Dhs65 per person. Tel: 04 515 4051 A more health-conscious iftar – Balance Café will offer three menu options designed to help break your fast without going overboard. Dishes include fennel and chicken soup with truffle oil and garlic chicken kebab; vegetarian biryani with raita, pickle and chutney; chicken supreme with baba ganoush and gomadare sauce; and malai dar kheer. Dhs48 (three courses), Dhs55 (four courses), Dhs65 (five courses). 6pm-midnight. Tel: 04 351 9111 In the market for a fabulous budget iftar deal? This buffet featuring salads, Arabic grills, and crowd-favourites baklava and Um Ali for a little more than Dhs50 may be right up your alley. There are also live cooking stations and an array of refreshing Ramadan juices. Dhs55 per person. Tel: 04 222 7171 Savour the flavour of fine Arabic cuisine at bargain-basement prices. Boulvar will put on an iftar spread, featuring grilled meats, mezze and thirst-quenching traditional drinks. Dhs99. Sunset-8pm. Tel: 04 316 5550 The restaurant boasts a themed iftar buffet every evening, with plenty of traditional delights flanking dishes from around the globe. If you have little kids that need entertaining, Brasserie has you covered with a fantastic children’s corner. Dhs205 per person. Tel: 04 317 2222 Celebrating the culinary delights of the Levant, Café Arabesque offers a rich Arabic iftar buffet, featuring more than 40 different kinds of cold and hot mezze, soups, and ouzi served with oriental rice, rotisserie dishes, carvings, kebabs and more than ten main courses. Dhs165. Sunset-10pm. Tel: 04 343 3333 Offer a wide selection of traditional Arabic cuisine. Dhs130 per person for a group of more than 20 people, Dhs150 per person for adults, Dhs75 per person for children. Tel: 04 332 9260 Dine in style at the delightfully ritzy Cavalli Club, and enjoy a gourmet iftar buffet featuring Arabic and Italian delicacies. The culinary options on offer are as generous as the interiors are flashy- there are three set menus for suhoor (from Dhs200-Dhs350) in addition to the iftar spread. There’s also a pianist on hand to set the tone for the evening. Fabulous, darling. Dhs150 per person. Tel: 04 356 0000 There’s a generous iftar buffet on offer at this chic eatery, complete with traditional staples and festive favourites. Expect delicacies from the region, refreshing Ramadan drinks and a tantalizing selection of Arabic sweets. There’s an oud player on hand to set the tone with traditional Arabic tunes. Dhs145 per person. Tel: 04 435 0000 A massive array of arabic, Oriental and International buffet for only Dhs125 per person inclusive of special Ramadan juice. Dhs125 per person inclusive of special Ramadan juice. Radisson Blu Hotel, Tel: 04 366 9111 Iftar buffet at sundown for only Dhs99 per person or Dhs119 including fresh juices, coffee and tea. Tel: 04 310 4340 For those looking for an iftar with Indian flair, there’s a selection of traditional North Indian dishes and Arabic juices to enjoy at Movenpick’s signature restaurant. Look forward to delicacies such as Dum Biryani, Pan-fried chicken and Dal Tadka prepared by celebrity chef, Hafeez Qureshi. Dhs85 per person. Tel: 04 295 5583 Iftar set menu and daily iftar buffet featuring traditional favorites including a superb selection of salads and hot mezze served with a choice of fresh juices. Dhs65 (set menu), Dhs79 (iftar buffet), Dhs50 (suhoor set menu). Sunset-8pm (iftar), 8pm-late (suhoor). Tel: 04 409 8000 Enjoy a cheap and cheerful iftar buffet featuring dried fruits, mezze, soups, grills and popular sweets Um Ali and baklava. There are some refreshing juice options on offer—expect lemon and mint mocktails, tangy tamarhindi, laban and kamareldeen. The suhoor buffet is priced at Dhs29. Dhs49 per person. Tel: 04 268 8888 The Sheraton’s new Arabic chef will whip up specialties such as lamb brain, lamb tongue, basturma, freekie lamb, kebsa chicken, Smagloba lamb, and mograbia chicken. There is also a wide selection of desserts including kunafa, katayef, baklawa. Dhs109. Sunset-8pm. Tel: 04 436 7777 Enjoy a sumptuous Arabic feast in Constellation Ballroom featuring fresh dates, salads, mixed grills, traditional delicacies and a plethora of live cooking stations. Pay for ten iftars, and get the 11th for free. Unwind at the terrace tent with shisha and games, and sample a special suhoor menu for a cover charge of Dhs50. Dhs155 per person; half price for six-12 year olds, under sixes eat for free. menu for a cover charge of Dhs50. Dhs155 per person; half price for six-12 year olds, under sixes eat for free. Tel: 04 885 2222 Guests can enjoy lakeside views as they tuck into assorted dates, dried fruits, cold mezze, Arabic mixed Pickles, mousakka and falafel. There will also be piles of traditional desserts to dive into. Dhs135, Dhs55 for kids aged six-12. Sunset-8pm. Tel: 04 406 8999 Enjoy traditional delicacies in a majestic tent spread across the beach, with the stunning Burj Al Arab as the backdrop. Expect all the essentials—soups, fresh salads, mezze and succulent grills, along with customary Ramadan beverages on offer till 8.15pm. If you’re after a more intimate affair, there are discounts and private majlises available for groups of eight people and over. Dhs170 per person; half price for four-12 year olds; under fours eat for free. Tel: 04 405 2703 Enjoy a traditional iftar buffet until 8.30pm featuring traditional staples- soups, mezze, grills and dessert, along with customary Ramadan beverages. This café may be tucked away in the hotel lobby, but its tasty food definitely deserves a mention. Dhs180 per person. Tel: 04 428 5888 A sumptuous iftar awaits at Esca Restaurant, Southern Sun Qamardeen Hotel, where traditionally-inspired architecture and warm Mediterranean hues complement the authentic flavours. The lavish buffet, featuring iftar favourites such as hummus, roast chicken, lamb kabsa and katayaf. Dhs145. Sunset-midnight. Tel: 04 428 7888 Ewaan’s classic interior decor – regal arches and wooden trellis – is the perfect setting for iftar. Arabic and oriental dishes will be served from live cooking stations, along with traditional coffee. Dhs190 and sohour a la carte for a minimum spend of Dhs150 per person. Tel: 04 381 3111 This grandiose equine-themed restaurant has a delicious iftar on offer, chock-full of Arabian specialities. Enjoy it out on the terrace for stunning views of the lush green racecourse. Stay on for suhoor at the Meydan majlis, which will feature traditional Ramadan entertainment or head over to Meydan bazaar to pick up lovely trinkets and souvenirs. Dhs150 per person. Tel: 04 436 8888 Experience an international culinary journey with a cosmopolitan blend of cuisines to the backdrop of the Burj Khalifa and Dubai Fountain. Break your fast with traditional dates and coffee, followed by a sumptuous iftar buffet enhanced by authentic Arabic tunes. Dhs185. Sunset-8pm. Tel: 04 310 4320 Delight in a hearty feast of international cuisine, with plenty of Ramadan favourites to keep the traditionalists happy. Expect salads, mezze, grills, a delectable selection of mains and a heaving dessert table. Dhs110 per person. Tel: 04 212 7551 Glasshouse will put on a special iftar menu, featuring cold mezze – hummus bi tahina, fattoush salad, babaganoush, mutable, tabouleh or labneh with mint (Dhs40) – hot mezze – fried falafel, kebbeh, cheese rakakat, lamb sambousek, and spicy chicken wings (Dhs52). Prices vary. Sunset-10.30pm. Tel: 04 341 0000 Those looking to share the season in the exclusive company of family and friends will be able to enjoy Chef Hania's creations in the privacy of the Grand Ski Chalet overlooking Ski Dubai, where an iftar set menu will be served in a richly adorned majlis. Bookings can be made for up to 12 guests, six guests can also choose to book a night’s stay at the Chalet. Dhs395. Sunset-late (depending on booking). Tel: 04 399 1111 Resplendent in all its traditional glory, the ballroom at Hilton hosts an extensive Arabic iftar buffet featuring sumptuous delights from the region. Dhs145 per person. Tel: 04 428 2000 This cheery restaurant offers a lavish international buffet with plenty of traditional Arabic favourites and free flowing beverages. Fuel up indoors to keep a close watch on the buffet table, or choose to go al fresco and take in stunning views of the sea in between bites. Dhs135 per person. Tel: 04 453 0444 If you’re after a thoroughly elegant affair, this swanky restaurant might be just the ticket. Enjoy a sumptuous iftar buffet with traditional staples and International and French inspired cuisine. Dining out in the terrace is highly recommended- you can enjoy stunning views of the sunset, sea and the Palm Jumeirah island. Dhs175 per person. Tel: 04 409 5999 If all the gargantuan buffets are leaving you wanting an a la carte affair, you’ll find a festive Ramadan menu with sumptuous Levantine flavors and a host of seasonal delicacies on offer here. Relax out on the al fresco dining area and enjoy shisha by the pool. Dhs65. Tel: 04 426 2626 This Mediterranean restaurant will offer traditional favourites alongside a range of international dishes. Dhs165. Sunset-8.30pm. Tel: 04 399 4000 Find mezze, hammour, Gulf shrimps and calamari oriental rice here, as well as shish taouk, lamb cutlets, lamb kofta, beef kebab with Moroccan tagine and much more. There’s also a salmon station, a fatteh and foul station, a pasta station and an ouzi station. Enjoy all these delicacies with sea views. Dhs215, Dhs100 (kids aged five-12), Dhs150 minimum spend for drinks and shisha. 10pm-1am. Tel: 04 294 1222 A full iftar buffet.Dhs125. Sunset-midnight. Tel: 04 406 8999 Savour a traditional Arabic iftar buffet in a bustling atmosphere, complete with an array of live cooking stations. Ask the chef to whip something up to your fancy and then wash it all down with lashings of Ramadan beverages and freshly roasted Arabic coffee. Dhs185 per person; half price for four-12 year olds, under fours eat for free. Tel: 04 395 9085 Iftar buffet for Dhs45 per person. Dhs45 per person. Tel: 04 426 2626 Offer traditional favourites alongside a range of international dishes. Tel: 04 702 2615 Mahec Indian specialties such as kebabs, grills, curries, biryanis, sweets and fresh juices. Considering the prices of the al a carte dishes. Dhs159. Sunset-8pm. Tel: 04 284 3635 If you’re in a mood for an unconventional iftar meal, this friendly little eatery has a delicious Thai set menu on offer. We’re going with tender beef stew for starters, spaghetti tom yum for mains and fried ice-cream for dessert. Dhs55 per person. Tel: 04 405 2703 If you’re in the mood for sea food tagine, chicken pastille and golden, perfectly steamed couscous, look no further than this Moroccan eatery. Enjoy an iftar buffet until 10pm with delicious Moroccan specialties and Ramadan beverages. Dhs160 per person. Tel: 04 511 7136 Iftar buffet Dhs140 per person. Kids below 12 years Dhs100 per person. Suhour a la carte menu Dhs70 minimum spending. Tel: 04 319 8088 This lively Mediterranean restaurant is transforming itself into a venue to indulge in an authentic iftar experience until 8.30pm. Expect traditional dishes with plenty of modern flair, along with Ramadan juices and a tantalizing dessert table laden with sweet treats. Dhs180 per person. Tel: 04 438 8888 Savour classic Arabic specialities such as freshly baked bread, delicious saj, oriental mezze and salads, and traditional Ramadan desserts to satisfy the sweet tooth. An oud player will be on hand for daily performances. Dhs170. Sunset-11pm. Tel: 04 399 5555 This lovely restaurant dishes up a real treat this Ramadan with a special three-course set menu (available until 8.30pm) featuring tasty Italian cuisine. If you’re looking for a change of scene from traditional fare, take a trip here for some contemporary Italiana charm. Dhs180 per person. Experience the Spirit of Ramadan with our distinctive Iftar Buffet at Staircase Restaurant. Specialties such as Foul and Koushari are served in traditional carts, including Ramadan drinks. The Al Bustana has an air-conditioned Layalina tent which can hold up to 450 people and is open from 9.30PM to 3AM every night during Ramadan. Its live cooking stations will be dishing up Oriental mixed grills, Arabian shawarma and fatteh. You may also enjoy tea under the stars while listening to Lebanese Superstar 2008, the oud-playing by Mohamed Jaafeel. To reserve a place for more than 15 people please contact us for special rates. Pergolas Restaurant at Al Murooj is offering a traditional Arabic buffet for Dhs149++, but if you fancy seeing how the Indians do it, head to Zaika where traditional street dishes from Delhi and Lucknow are being served for the same price. Or if you’re in a group of 30 or more, you can hold your own private Iftar party in Al Yasat ballroom from Dhs178++ per head. To reserve a place for more than 30 people please contact us for special rates. Having run for over a decade, La Cité Restaurant should be pretty clued up on how to get Iftar right. Check out their buffet of dishes including lamb ouzi, kofta bel saniya and a live shwarma station for Dhs120 per person. To reserve a place for more than 15 people please contact us for special rates. The second-floor Aldana restaurant will be dishing up an Iftar buffet consisting of all the usual favourites – dried fruit and nuts, Lebanese mezze, soups and a carving station. Dine from Dhs155, and feel even better knowing Dhs5 of your money is going to the Dubai Centre for Special Needs. Private dining opportunities also available. The ‘Al Sultan’ Ramadan experience promises stunning views overlooking Dubai Creek, shishas and Arabic food and drink. Entertainment comes in the form of traditional games and, from 10pm onwards, an oud player. To reserve a place for more than 15 people please contact us for special rates. Take your pick between the traditional Arabic food being dished up at Al Qasr’s buffet for Dhs140, or the Suhoor set menu in the Al Khayma tent, which will feature falafel and an Oriental grill, costing Dhs160. To reserve a place for more than 15 people please contact us for special rates. Feast under the soaring ceiling of Cascades restaurant with such Arabic delights as hot and cold mezze, juicy grills and roasted veal with vinegar and zaatar until 8.30pm for Dhs165. Or if you fancy something other than traditional Iftar food, 41 on One is offering six different cuisines with 41 per cent off the bill if you eat before 8.30pm. The traditional way to break the fast is with dates, which are plentiful at the Tee Lounge and Blades Restaurant’s buffet. Also available are regional juices, including karkadeh . Hot and cold mezze, a salad corner, and an Asian-themed area make the Dhs160 price tag worth it. Alternatively, show up between 8pm and 2am, and you can opt to dine from the a la carte Sahour menu. The Atrium restaurant is offering a wealth of Oriental specialities for Dhs125 during Ramadan, or if you’re just after light refreshment hit Toshi, which is offering 10 different Asian soups. Take your pick from sweet or sour, thick or thin, Thai, Malasian, Chinese or Japanese, all at a la carte prices. Al Naai, the extravagant beachside marquee, is serving up lavish Lebanese delicacies and shisha, while Al Dhiyafa Restaurant will be providing traditional Arabic dishes and Ramadan juices, from sunset until 8pm, for Dhs185. To reserve a place for more than 15 people please contact us for special rates. A grand festive tent in the hotel gardens will offer guests the chance to recline on low-level seating and enjoy the beautiful night-time beach views, as well as light Arabic entertainment. Feast on hot and cold mezze, local juices and milkshakes, and puff on one of 17 varieties of shisha. The menu will change daily to reflect the region’s many different dishes. Dhs145 per adult. A wealth of choice is available here. Take your pick from a set menu at The Kitchen restaurant, where the diverse food comes from either the grill, wok, tandoor or wood-burning oven, and is dished up in an open-kitchen setting for Dhs130 per person. Or for a buffet option, try revolving restaurant Al Dawaar for Dhs150. Private dining also available. Hotel restaurant Al Hadheerah’s Iftar offerings will be prepared on live cooking stations and in wood-fired Arabic ovens. There will be freshly-baked breads and traditional Ramadan beverages. The buffet will be available from sundown to 7.30pm and costs Dhs195 per person. Alternatively, dine in the restaurant from 8pm onwards for Dhs295 and enjoy the oud and kanoun trio and complimentary camel ride in the Heritage Village. The Arabian marquee has a buzzing bazaar-style atmosphere, with a souk which is separated from Diwan Al Khayal, the eating area, by sheer drapes. On offer for Iftar is a range of Middle Eastern delicacies, and an oasis with water features and tropical plants marks the Majlis, a traditional seating area. If you prefer your Iftar grub in a more contemporary setting, check out Latitude, which overlooks the hotels lush gardens. Either one of these experiences comes at Dhs165 per person. To reserve a place for more than 15 people please contact us for special rates. Eat at Al Nafoorah, the hotel’s award-winning Lebanese restaurant, and you can feast on a lavish buffet of traditional Lebanese favourites and Iftar drinks. There’s also a terrace for al-fresco dining. Dhs190 per person. Also see the Iftar buffet at Mosaico, which is the same price. A lavish buffet of traditional Arabic foods awaits at Yalumba for Dhs139 per person, and you can expect to find similar foods at Al Mijana Lebanese Restaurant for the same price. Both buffets operate from sunset until 8pm. To reserve a place for more than 15 people please contact us for special rates. Du Majlis is a traditional Arabic tent, serving up a buffet alongside views of the Burj Al Arab each night during Ramadan. Alternatively, on Fridays check out the Iftar offerings at Al Muna, Arboretum and Khaymat Al Bahar, all of which afford stunning views of the Madinat’s waterways and cost Dhs195 per person. Two elegant, climate-controlled outdoor areas will host Iftar buffets: from 6pm-7.30pm, the Tagine restaurant at the Palace and Rotisserie at the Arabian Court will both serve up a variety of traditional dishes for Dhs150 per person. After that, the Palace Courtyard and the Arabian Court’s Al Koufa will serve oriental cuisine from 8pm until 2.30am. To reserve a place for more than 15 people please contact us for special rates. Ewaan restaurant is offering a classic Arabian buffet with live cooking stations from sunset until 8pm each night for Dhs180. From 9pm you can participate in the Feast Suhoor which incorporates a three-course set menu and live oud player for Dhs160. Alternatively book a private poolside Khaima where you can dine a la carte and smoke shisha with a minimum spend of Dhs2,000 and maximum of eight people per tent. To reserve a place for more than 15 people please contact us for special rates. Feast on freshly-baked Saj bread and falafel while relaxing on the waterfront Terrace restaurant for Dhs180 or Dhs200 ; or opt for marina views from the Traiteur Balcony for the same price – both are open from 8pm-3am. Head to the Thai Kitchen Balcony if you want the full-on Iftar tent experience with lounge-style set-up and shisha from 8pm-3am; alternatively, from sundown to 7.30pm you can try Café Arabesque’s Iftar dishes for Dhs170. To reserve a place for more than 15 people please contact us for special rates. Iranian restaurant Persia Persia will be serving up a traditional menu including salads, kebabs and stews until 8pm throughout Ramadan, for Dhs150 per person . An a la carte menu will also be available from 7.30pm onwards. To reserve a place for more than 15 people please contact us for special rates. Chill out to the mellow sounds of the oud and the tabla in the specially-designed Ramadan tent while sampling from the traditional Arabic feast or playing a board game and smoking some shisha. The entry fee is Dhs99, which includes two hot and two cold mezze dishes. Alternatively, check out the sea view from the terrace at Al Khaima from 8pm-2am, or the watch the action at the Brasserie with its live cooking stations and buffet, for Dhs185 from sunset until 8pm. To reserve a place for more than 15 people please contact us for special rates. The Shangri-La aims to offer something for everyone: the popular Dunes Café buffet will include old favourites like shawarma and grilled meats for Dhs158, while a traditional Moroccan Iftar at Marrakech will feature salads and pastries for the same price. To reserve a place for more than 15 people please contact us for special rates. An alternative option to the posh hotel experience is being provided by the SMCCU, where there will still be a good selection of traditional Arabic food and drink, but you can also go on a short tour of the Bastikiya Mosque and observe as volunteers pray. For details of when and where the meals are taking place, call ahead, as it’s not a nightly event. To reserve a place for more than 15 people please contact us for special rates. For Dhs95 per person, The Junction Restaurant is serving up an Iftar Shahy Buffet consisting of a large selection of hot and cold mezze, dates with milk, and an Arabic mixed grill. To reserve a place for more than 15 people please contact us for special rates. The fifth-floor terrace venue of Vista Rooftop Bar & Restaurant will be serving up hot and cold mezze, fresh juices, dates, soup and shisha until 11.30pm each night during Ramadan. To reserve a place for more than 15 people please contact us for special rates.